Real Wood Wall Strips that instantly transforms your walls, backsplashes, headboards, doors and more. Wooden wall strips adds character and warmth to any residential or commercial decor. Available in an array of woods and finishes. Fast and easy to install. 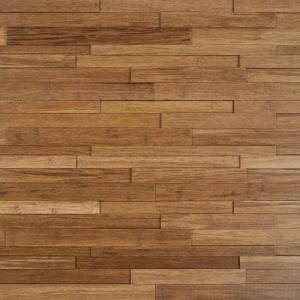 Buy online Nuvelle Take Home Sample - Deco Strips Harvest Engineered Hardwood Wall Strips - 5 in. x 7 in. SC-194854, leave review and share Your friends.